You would expect that any watch designed by the house of Versace would match the dazzling style of the company’s clothing line, and the 2014 Versace Couture watch collection lives up to that expectation. This year, the fashion house has taken a classic approach by forgoing the usual round, square or cushion shapes in favor of an oval-shaped dial anchored by four screws on the bezel.The designers have also added the traditional touches of applied Roman numerals and dauphine hands. Versace’s iconic Greek key symbol provides visual texture to the watch’s subdial and the leather strap is embroidered with the symbol and secures with a butterfly buckle. 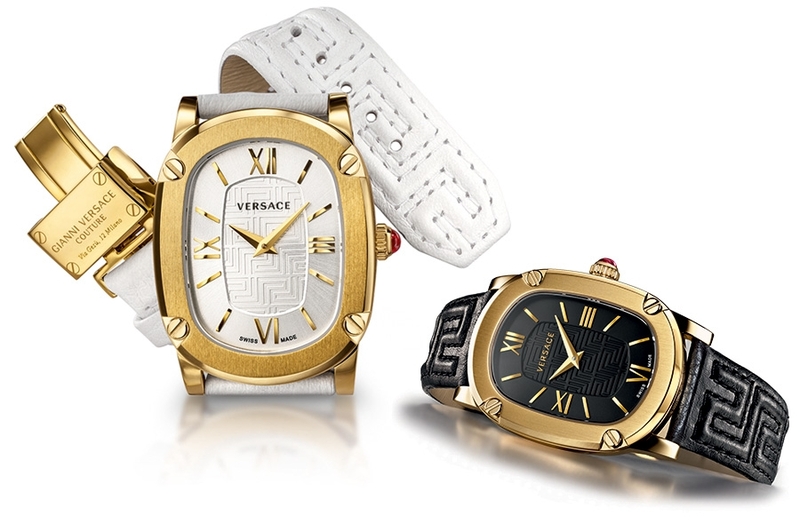 The Swiss-made 2014 Versace Couture collection is offered in a choice of red, black, white or tan dials with matching straps and in stainless steel or stainless steel with an IP gold case. A red cabochon crystal on the crown adds the perfect finishing touch.